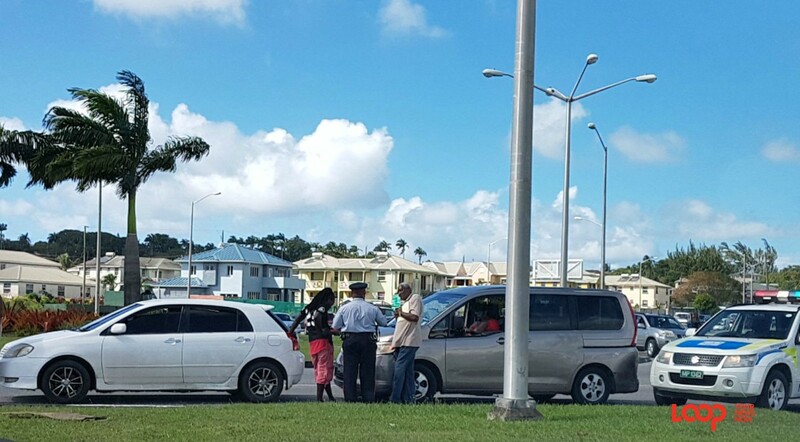 Accident raises eyebrows in Warrens off the D'Arcy Scott roundabout heading towards Hind Hill. 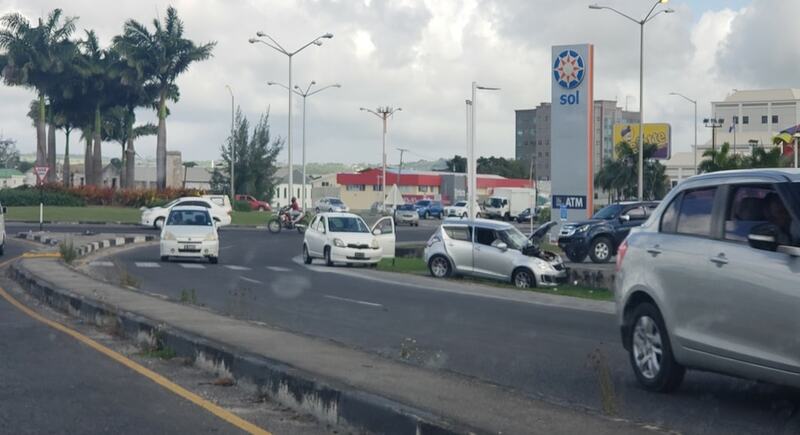 Two cars were involved and one was left in the ditch adjacent to the Sol service station while the other stopped by the pedestrian crosswalk. 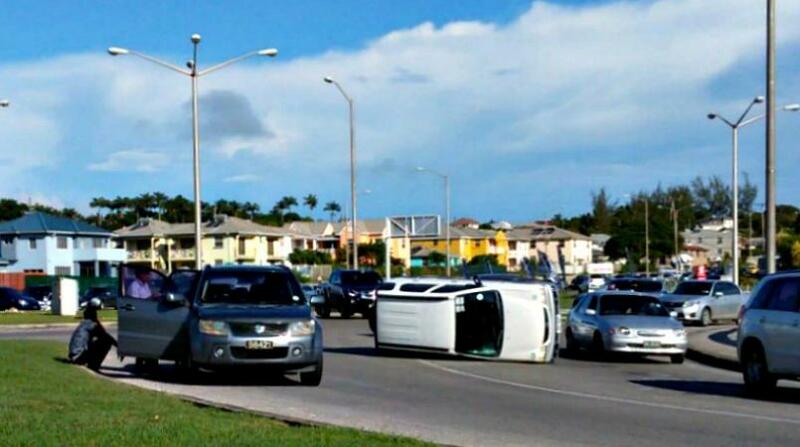 The accident occurred just prior to 2:00 pm. No emergency vehicles were on the scene by the time Loop passed the area. 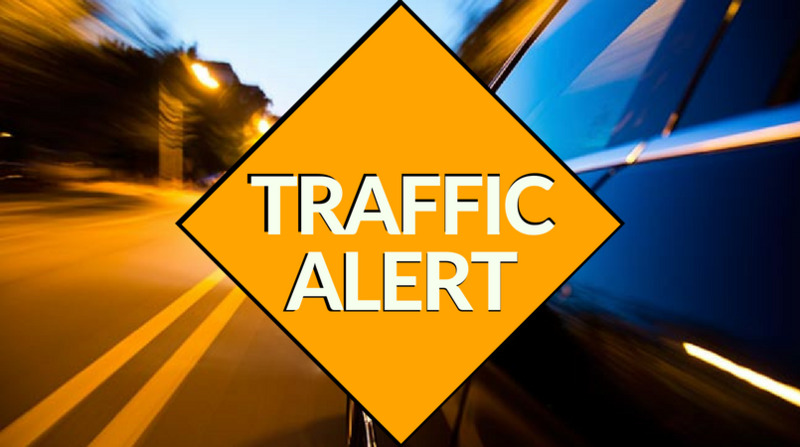 Up the hill through Clearmont, St. James there was another accident involving a flatbed truck blocking traffic flow from Warrens up to Husbands via Clearmont. State of injuries are unknown.